Now these are really cool! I saw these on eBay on 2/5/11. 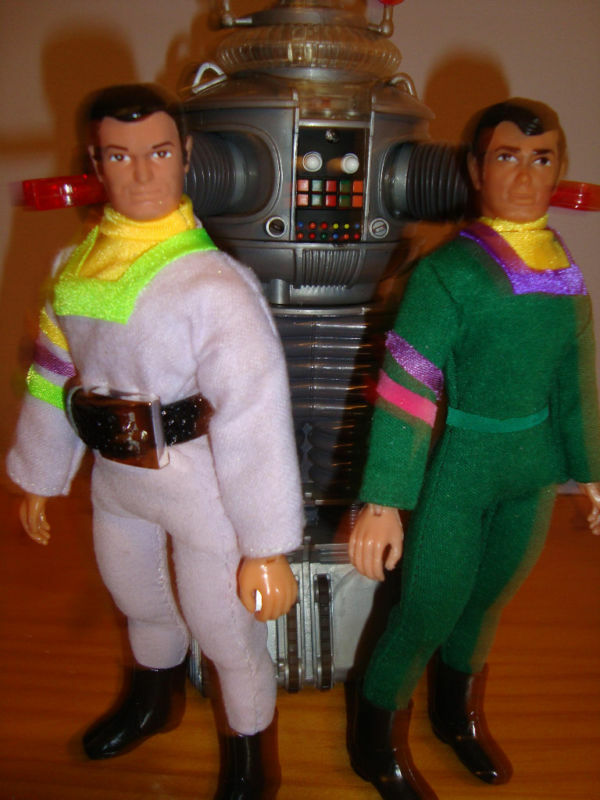 Fan made., Lost in Space Megos figures. LET'S TALK ABOUT THEM SHALL WE? Major Don West is a real Shazam Mego Head on a Classic TV Toys body. All the outfits are hand made, and was a real pain to make! I can relate to the good old Dr. on this topic. Prof. John Robinson is Classic TV Toys head on a Dr. Mego body. Maureen Robinson is Mrs C. from Classic TV Toys. One of her legs needed duck tape around the knee. 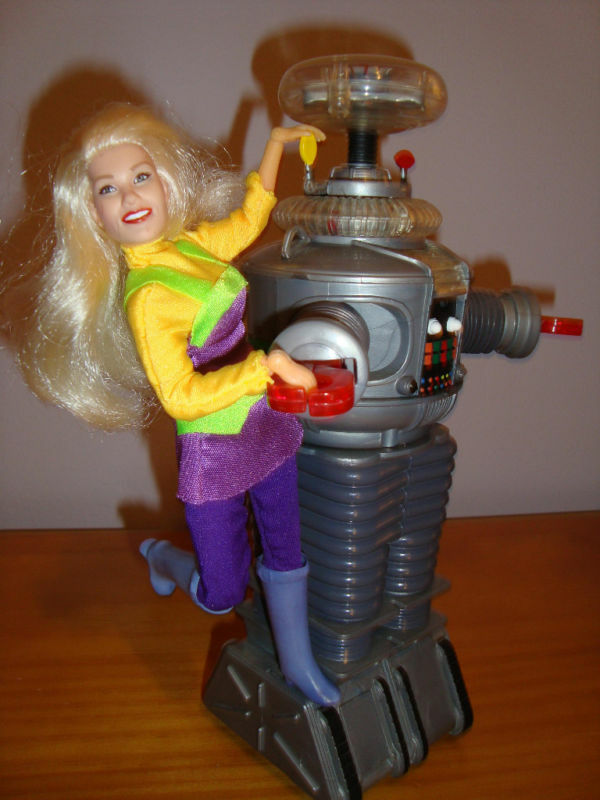 Penny Robinson is on a Dr. Mego body, but it needed to be fixed. Judy Robinson is a Classic TV Toys custom. 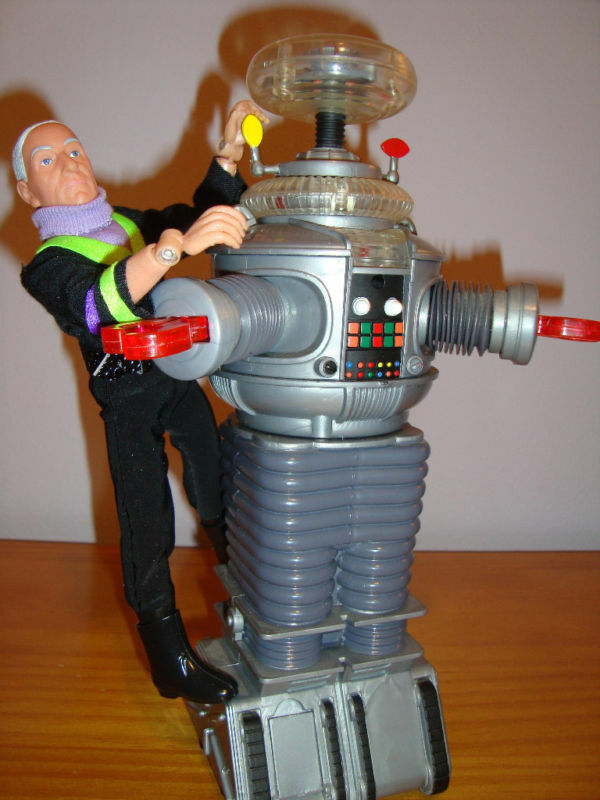 Will Robinson is a Classic TV Toys Leon Rock style body on a custom Robin head. Finally, Dr. Smith is a Classic TV Toys head on a real Mego type one body.